I’ve been on a wonderfully fun DIY kick lately, and most of it has revolved around transforming my wardrobe. I’m not much of a sewer, and I’ve always let this weakness hold me back from doing projects I was really interested in. But, not anymore! I finally dived in and started doing alterations on my own clothes. And so far, they’ve turned into my favorite pieces! Today’s DIY I wanted to show you was how I transformed a denim jacket and denim shirt into something really personal and cool. 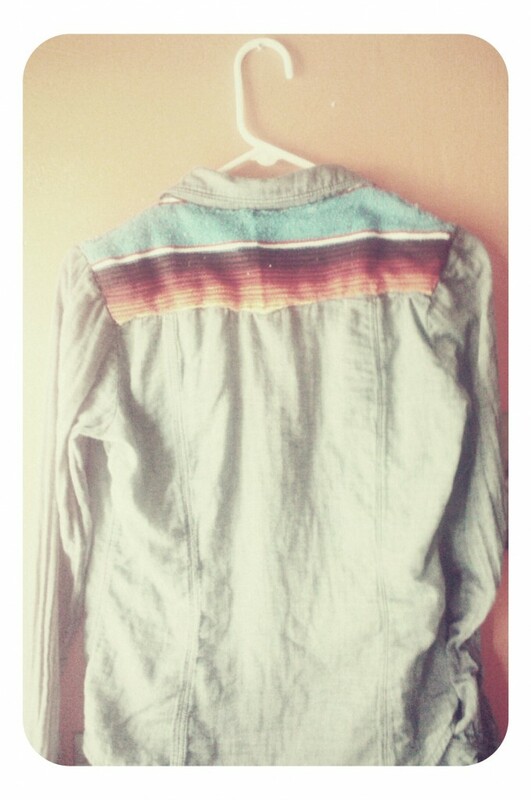 I got the idea from Free People’s DIY on Personalizing Denim Shirts. Their instructions are really clear, so I’d highly recommend checking out their post for pictured, step-by-step instructions. This upcycle DIY is pretty simple; basically, all you do is find some fabric you love, and sew it onto your favorite denim shirt or jacket. You can see what I did below. And if some the pictures look retro or vintage, it’s because of my photo filters! I can’t resist. The denim shirt, pictured below, was picked up at Goodwill. 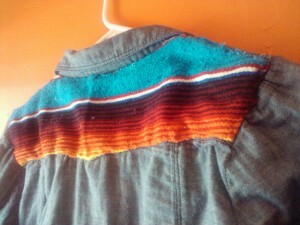 I used pieces from a Mexican serape blanket. 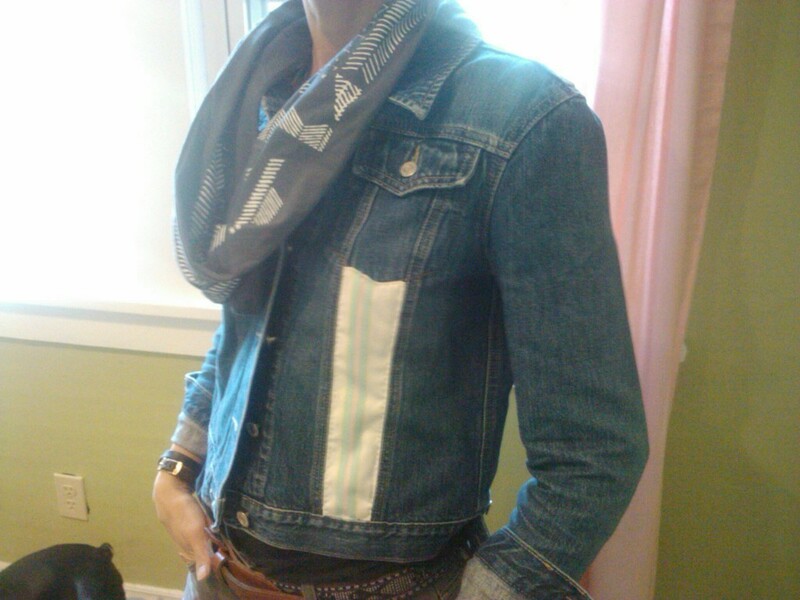 The denim jacket is another Goodwill find. 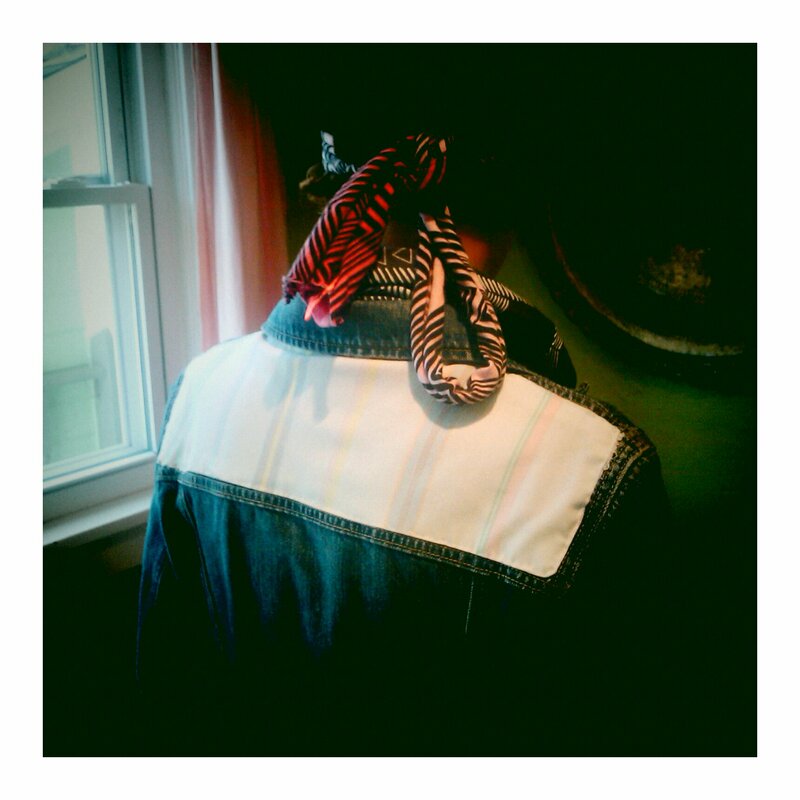 I modified it with fabric from an old 1980’s pastel striped jacket. The trickiest part is lining up the pieces of fabric within the seams; the fabric should be folded under, and then sewn, so it doesn’t fray. You’ll need safety pins to hold it in place securely into you get it sewn. This is a wonderful upcycling project to do on a sunny afternoon; I did both of these projects sitting out in the sun in my backyard. And again, I have no real sewing experience; thanks to the good instructions over at Free People, I was able to easily do this myself. 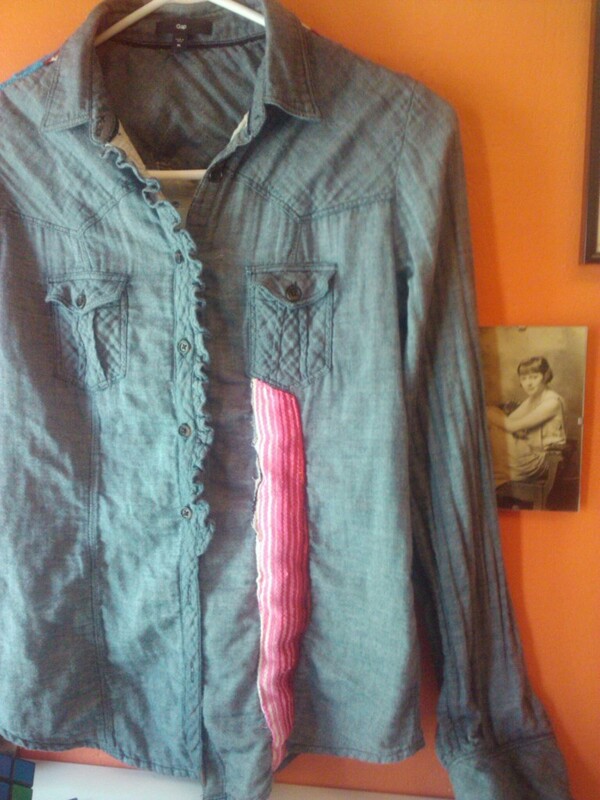 This is a great way to upcycle some old fabrics and give new life to a boring denim shirt or jacket! 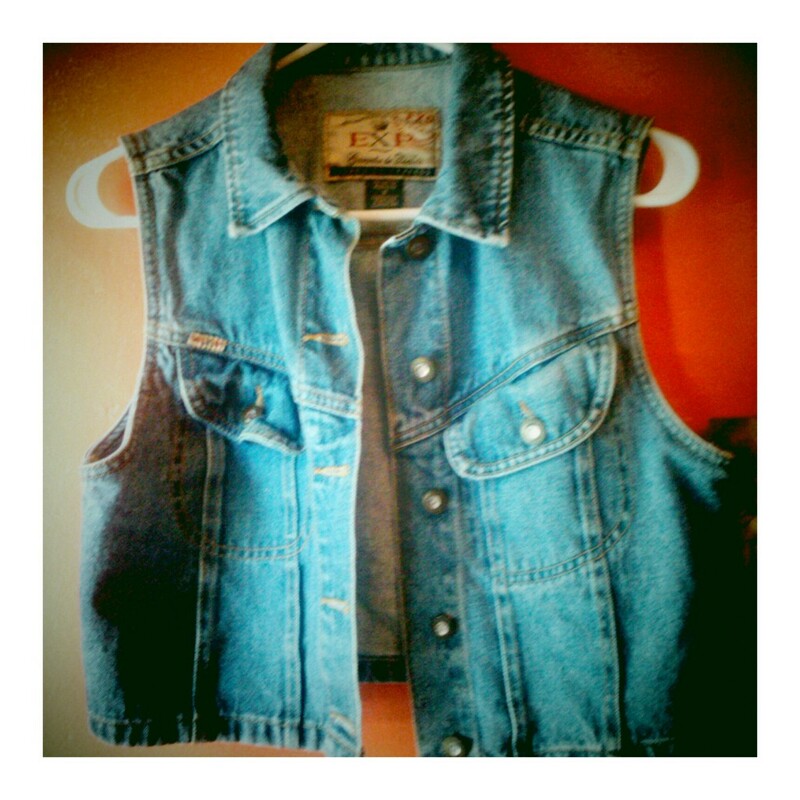 This week’s find was a vintage denim vest from Express. I’m guessing…early to mid 90s? It’s like a blank canvas, and I can’t wait to find some great vintage fabric to dress it up with!